TME’s offer has been enriched by new ESD chairs compliant with the EN 61340-5-1 standard. 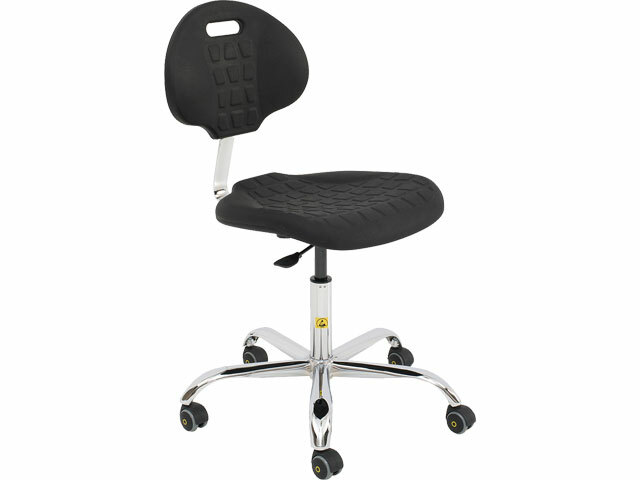 The chairs feature an anti-slip seat and backrest made of conductive polyurethane. They are characterised by excellent mechanical endurance and are easy to clean. The steel, chrome-plated, five-legged base features wheels with conductive rubber, which prevents them from leaving marks on the floor. Seat height can be adjusted with the use of a gas spring.